We want to ensure that the world that comes after us is a world in which a wild tomorrow is possible. We work on the ground in southern Africa and our vision is for a world in which wildlife habitats are expanded and protected, and where existing reserves have the resources needed to keep their animals safe. We are proud to have achieved Guidestar’s Silver Seal of Transparency. • Acquire and conserve land in critical areas. Habitat loss is perhaps the biggest threat to the future of our planet's wildlife. Populations of many species have dramatically shrunk due to the lack of protected wild land. This is nowhere more evident than in southern Africa where we work. We want to reverse this trend by acquiring and conserving land in strategic, ecologically sound areas. But we won't stop there. We will look to join our land with neighboring properties and reserves to create animal corridors. Conserving land that may have otherwise been lost to wildlife forever will ensure that entire ecosystems, from leopards to butterflies, can live the life nature intended. Find out more about how we're helping protect wild spaces. Most game reserves in South Africa are severely underfunded. Without adequate finances and supplies these reserves struggle to protect their animals from any number of dangers including poachers, snares, broken fencing, and water shortage. This situation puts at risk all African wildlife including rhinos, elephants, pangolins, wild dogs, and countless other species. The funds we raise are used to purchase critically needed supplies and equipment in over 14 different reserves in South Africa and Mozambique. You can see a list of some of these items here. • Continue our scientific research on key species. We will continue to conduct critical on-the-ground scientific research. Our ecologists in South Africa are committed to conservation-focused and meaningful in-situ field research. Working in areas of high biodiversity and endangered vegetation types, our ecologists use scientific research to guide conservation management and aid in species recovery programs. We are incredibly thankful to all our donors who have supported us. We are often told how our presence is being felt by rangers, ecologists and reserve managers in Africa. • Outfitted every field ranger with new uniforms at Tembe, Ndumo, Phongolo, Sileza, Phongolapoort, Hlatikulu Forest, and Ukuwela reserves. • Donated supplies to 10 government and 5 private reserves which amongst many things included telemetry equipment, binoculars, computers, tire compressors, lamps, pangas, bikes, boots, belts, rifle scopes, and cammo gear. • Paid for 24 rhinos to be dehorned, 3 elephants collared, 4 wild dogs collared, and 3 hyenas collared. 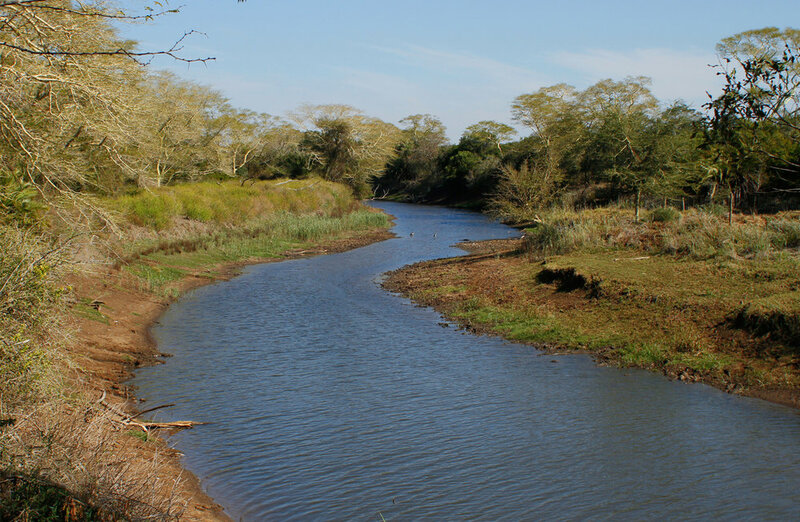 • Protected 1,235 acres of land to create a new conservancy called Ukuwela. This land which includes leopards, zebras, hyenas, hippos was just months away from potential destruction before we became involved. In 2017 we created the 1235 acre Ukuwela Conservancy. At risk of being lost to agriculture, this land is now protected for the region’s wildlife. • We continue to investigate opportunities on Ukuwela to be able to assist the conservation and research communities. • Outfitting every ranger in Kwazulu-Natal government reserves with new uniforms. • Funding vet and helicopter time for wildlife emergency procedures on elephants, rhinos, lions and wild dogs. • Researching the status of the Temminck's Ground Pangolin in northern Zululand. • Beginning a reptile and invertebrate survey with a focus on sand forests. • Publishing a paper on African wild dog populations on a biodiversity rich areas.